Shocking Anime Memories & Rare Ghibli Musings- Anime is a format, not a genre! One of the main goals of my ALC conference presentation There’s a Graphic Novel for Everyone (Yes, Even You) was to reinforce the importance of recognizing comics, including manga, as a format and not a genre. Similarly, anime is a format capable of telling any kind of story. I’m heading out to Animethon tomorrow, and as such I’ve had several conversations with friends and coworkers recently about anime. One such friend was reminiscing with me today about favorites from childhood, and we discussed how sometimes anime surprised us with its content. When I was very young, before I even got into Sailor Moon or Pokemon, I was prone to watching and re-watching my favorite VHS tapes over and over and over again. I’d watch them so fervently that I could speak every word of dialogue along with the tape. One of my favorites was a particular version of Heidi which had beautiful music and charming style. Another was a lively and unique version of Snow White. Yet another was a tape of the first 3 episodes of the action-packed extra-terrestrial fantasy cartoon, Thundercats. Little did I know that in the might of these three VHS tapes, probably plucked from the bargain bins of convenience stores by my family, anime would begin to sink its hooks into my impressionable young mind! 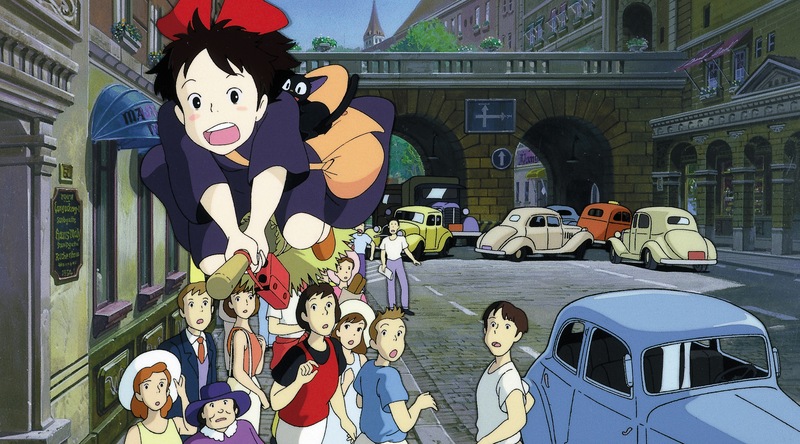 By scouring the internet some years later on a hunch, I confirmed that my Heidi movie (which was dubbed in English) had ties to one of the most well known and celebrated anime studios both in Japan and internationally, Studio Ghibli. My Heidi was a condensed version of a full Japanese anime series created by Hayao Miyazaki and Isao Takahata, the two founding directors of Studio Ghibli. This was back when Studio Ghibli was not yet established- Alps No Shoujo Heidi was released under Zuiyo Eizo which later became Nippon Animation. 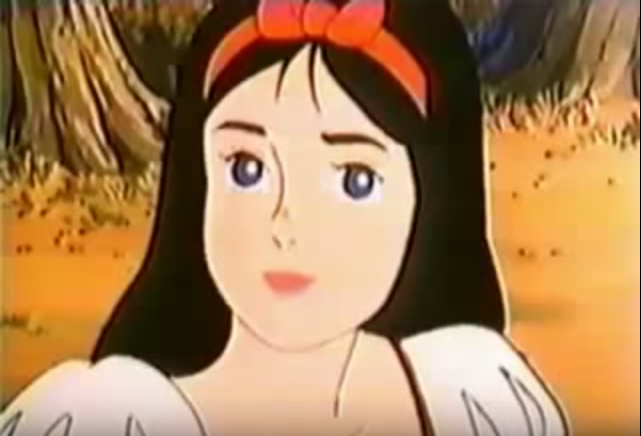 Nippon, I also learned with some digging, created the Grimms Fairy Tale Classics series, including my aforementioned favorite version of Snow White! Oh, and Thundercats? It was animated by a Japanese studio called Pacific Animation Corporation. I have a vivid memory from when I was quite young of sitting in the living-room with my Dad watching an anime that he randomly found while browsing tv channels. Two people are battling in some sort of combat ring, the sort of setting where a competition like martial arts would take place. The fighting is bloody and intense, and keeps amping up in its recklessness. Suddenly one of the fighters takes the pointer and middle fingers of both of his hands and thrusts them into the temples of the competitor, making a calculated strike-and-pull. A close up is shown of the victim’s retinal arteries (?) being ripped open, and blood gushes out of both sides of his head. Everything goes black. Now he can’t see and must continue the fight completely blind. We sat transfixed and watched the rest of the show. I have no idea what the name of it was, and to this day I can’t remember anything about it besides that scene, but this experience was my first big glimpse of anime’s capabilities beyond friendly magical girls and elemental monster battles, and certainly far beyond any western animation I’d ever laid eyes on. Outside of my heavily edited VHS version of Heidi, the first Ghibli movie I remember watching was Princess Mononoke. I was still quite young, and, once again, this was something my Dad stumbled upon while browsing channels. We both realized it was a bit more bloody than we were expecting (which is funny, because it’s to my knowledge the only Ghibli movie with that level of gory imagery- not that there’s anything wrong with that!) and I enjoyed it thoroughly. Dad… what is wrong with the boar, dad…? Years later, Dad finally decided it was time to invest in a BluRay player and brought home a PS3, along with our first ever BluRay: a copy of Ghibli’s award winning Spirited Away. While he seemed to have bought it mainly as a means of testing out the assuredly Beautifully Clear HD Quality Image and Unsurpassed Sound of a BluRay on his TV, I was immediately smitten with the intricate backdrops, the strange characters, and otherworldly happenings in the movie. I waited until the newness of the BluRay fever had died off a bit and asked if I could keep the film and add it to my small but growing anime collection. Dad acquiesced with a fake sigh and a “should have known you’d like this one, kiddo”. 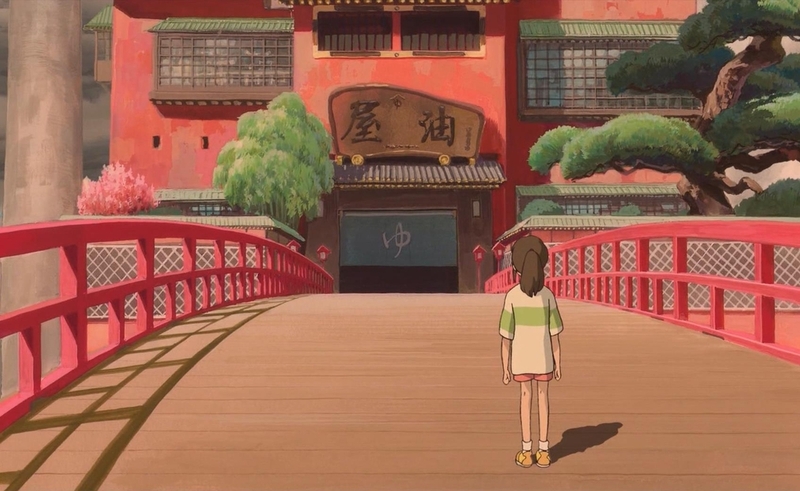 Ghibli movies have continued to blow me away with their devotion to truly understanding and amusing children and childlike minds, their attention to even the minutest and most seemingly insignificant details, and insightful depictions of the true good and bad faces of humanity. Their works are often fantastical, sometimes sentimental, occasionally tragic (don’t watch Grave of the Fireflies without some tissues handy) but always beautiful. Last year I had the opportunity to fulfill a long-held dream of visiting the Studio Ghibli museum in Mitaka with my husband while on our trip to Japan. It was an experience I’ll never forget and will hold in my heart forever. In my early teens, when I first began working part-time, I began to purchase anime of my own accord. There was no rhyme or reason to what I bought- usually it was whatever overpriced “Volume 2, Part 1” randomness my local CD Plus had in stock. Some were wonderful, and some were underwhelming, but as I learned more and more about anime and manga, I fell more and more in love with both. In time I began to understand the vastness of the possibilities of this uniquely Japanese format. To anyone who looks at an anime and immediately thinks “i’m not into that stuff”, I challenge you to do a little investigating online or talk to staff at your local library and see what’s out there that might be relevant to your interests. Curiously, it seems that there aren’t many non-fiction anime produced from what I can tell- I’ve come across a few, but biographical and NF anime (and manga) seem to be rare. I’m not sure why that is, as it’s just as valid a format as any. If anyone has any insight on this I’d love a comment or DM! Aside from an apparent dearth of non-fiction anime, here are just a few anime that pop into my head as some examples of the versatility of the format, but they are only a few drops in an ocean of worthwhile anime. MY first Ghibli was Laputa, way back when I was a kid (and it was probably new). Loved that film, saw it at a friends house one christmas then again a year or so later (Dad was annoyed as there was a John Wayne movie on the other channel but being a child I got my way) and then I didn’t see it for about 20 years. I think that movie is the reason I am fascinated with hidden kingdoms and cities, fictional or otherwise. I loved Princess Mononoke when I saw that, Nausica too. Kiki was fun, though Grave of Fireflies was just depressing. As for why there isn’t much anime non fiction I think it has to do with target audience, personally. I would wager there is the perception that something produced as an anime will not be taken seriously by the non fiction reading community. That may change over time, I learned a couple years back that the first PhD dissertation produced as a graphic novel had just happened. I think Comics became more mainstream as a result of Scott McCloud’s understanding comics, and works such as Alice in Sunderland. It could happen with anime as one generation that is less accepting of it passes and a new one takes their place. Ahh I’m so glad you like Heidi too! 💙✨💙✨ I was freaking out in Japan because they had gashapon of grandfather/ojiisan and that was the first time I’d seen Heidi merch hahaha. Previous Previous post: Why Cosplay?